Welcome to the most delicious and mouth-watering Chinese delicacies prepared in most of the renowned restaurants in Delhi. This restaurant is very famous and is known all across the country to serve the dazzling and mouthwatering varieties of steamed fried and baked dim sums. The dish is prepared in vegetable and non -vegetable preparation as per the choice of the customer. The roof top chinese restaurant in the ITC Maurya hotel gives the ultimate satisfaction with its awesome beautiful views all around it and the smell of the deliciously cooked chinese food and excellent wine with the light music making you so very enthralled and the place a perfect dine for you and your loved one. 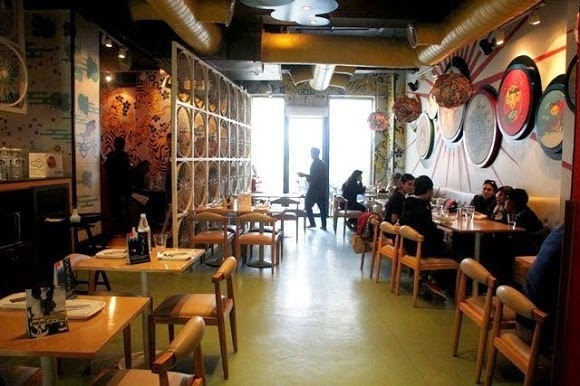 In Khan Market another very well -known place and an emerging hot spot for travellers to fill their stomach with the varieties of dishes from all over Asia including Chinese food with special menus is the Mamagoto. This restaurant is perfect for the tired and hungry travellers. The restaurant has the earth-tinted wooden décor; paintings on the walls and specially designed terracotta crockery make TK’s Oriental Grill a must-visit place. Faux brick walls with a small wine cellar in the corner, an aquarium with fish (not edible) and the dramatic lighting complete the inviting decor of this restaurant. The Chinese food like fried rice, moms, grill vegetable and non-veg dishes are awesome to taste. Grand and gracious restaurant which is 16 floors above the city, with a splendid view of the Bahai Temple is the Royal China restaurant. Inside, the gold and black interiors are reminiscent of a similar place in Singapore or Hong Kong.Given the short shelf life of most restaurants in the city, Side Wok's array of delicious Pan Asian cuisine ensures it's here to stay. Friends I hope you all loved this post. So these are Chinese restaurants in Delhi which offers mouthwatering and delicious chinese food. Do you know any?